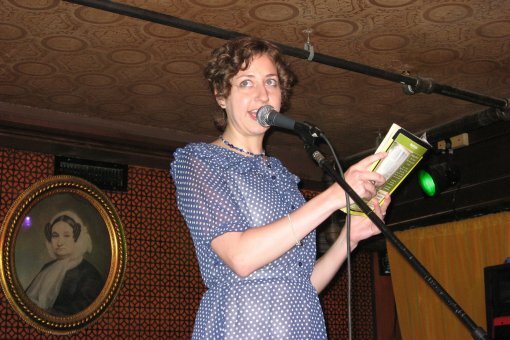 In case you haven’t heard, Kristen Schaal, the queen of the NYC indie comedy scene, is leaving the friendly basements of Brooklyn to take up permanent residence in big, bad Los Angeles. In addition to moving on to greater fame and fortune, Kristen is also getting married to her longtime beau, former Daily Show writer, Rich Blomquist. Not sure when she’s actually leaving town, but her last Hot Tub is tonight (07/30) at Littlefield with Janeane Garofalo, Eugene Mirman, Leo Allen, and a secret surprise guest. Bye Kristen, good luck! PS If you can’t make it out to the last Hot Tub, you can go to the Bell House on Tuesday night (Aug 1) and see Todd Barry, Wyatt Cenac, Janeane Garofalo, Liam McEneaney and a secret surprise guest for a very special TYF (Buy Tickets). PPS Hey Kristen, remember that time we talked at The Delancey during the Eagle vs Shark premiere party? Yeah, I didn’t think so.